Lisy Stefanoni is an italian singer, composer and musician. She recorded her first album “Start from the Past” in 2008 with the italian heavy metal band Rustless (ex Vanadium). 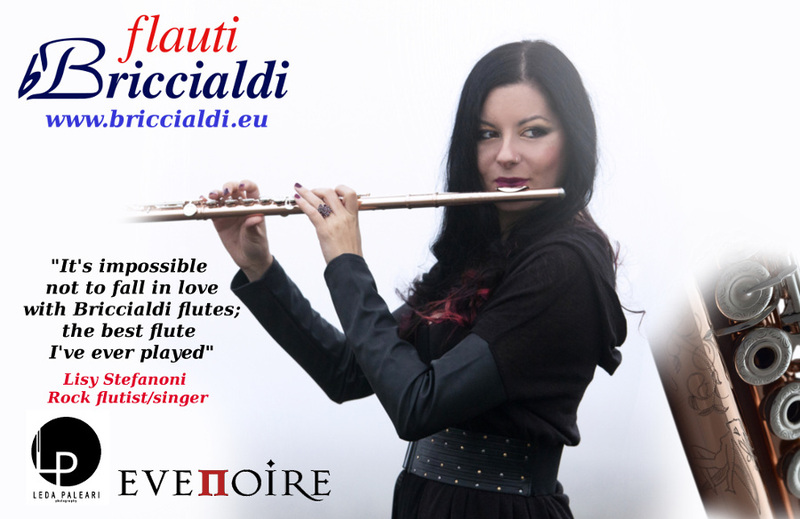 Lisy is the frontwoman, singer and flutist of the symphonic folk metal band Evenoire, born in 2007: after a selfproduced EP, Evenoire released in 2012 the debut album “Vitriol” with Scarlet Records in Europe, USA and Japan, and toured in Italy opening for Haggard, Theatres des Vampires, Elvenking, Cadaveria and playing in many great italian festivals like Autunnonero, Strigarium, Vacchen, Isola Rock, Colonia Sonora, Fosch Fest together with bands like Ensiferum, Skyforger, Opera IX, Vision Divine. The second album “Herons” was released on April 15th 2014 on Scarlet Records and the band is currently promoting it with festivals like Metal for Emergency (IT), Pegorock (IT), Malpaga Folk (IT), Metal Female Voices Fest (BE) sharing the stage with bands like Therion, Xandria, Arkona, Stream of Passion, Rhapsody of Fire, Elvenking, Leaves’ Eyes. Lisy collaborated also with some italian metal bands, and in December 2013 she toured all over Europe with Sound Storm together with Therion and Arkona. Besides Evenoire she is currently playing as flutist summer concerts of fantasy metal band Holy Shire and sometimes she plays acoustic shows around.